Welcome to the RMNU Family PolkBJJ! - Gator Family Brazilian Jiu-Jitsu, DeLand Fl. Welcome to the RMNU Family PolkBJJ! Congrats to Carlos and Nancy Baez on a beautiful new Jiu-Jitsu Academy. 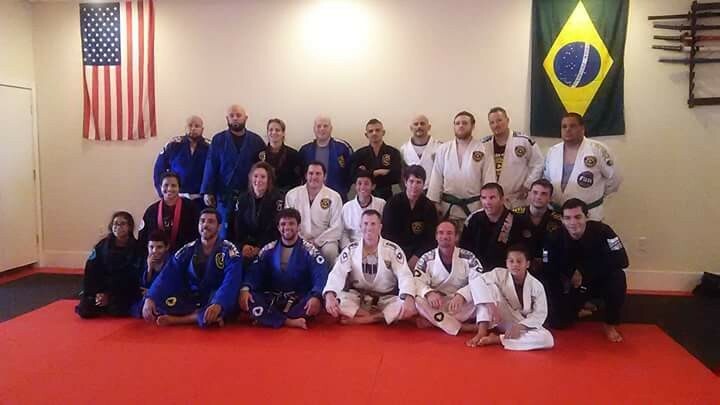 Owners of Polk BJJ in Haines City, Fl. and newest members of the Robson Moura Jiu-Jitsu Association. On Jan. 9th 2016, Professor Robson arrived for a seminar. As always he demonstrated amazing techniques. Everyone enjoyed the training. In addition to the seminar several students from RMNU affiliate RMCFL. in St. Cloud Fl. Tested for belt promotions. Their demonstrations were impressive. At the conclusion of the seminar everyone got a chance to roll with the master. Before we bowed out for the day, Professor Robson addressed the participants with some words of wisdom.